A very gracious note, Rita, which I believe beautifully expresses the sentiments and gratitude of SCP authors. Thank you, Gordon. I added more which is not so gracious. I will miss SCP. I had started an historical western (1868). The tagline is “Why must a lady choose only one?” if that tells you something. I hope it will find a home along with the published books. 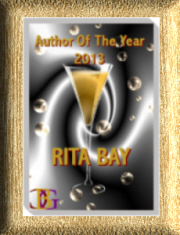 Rita, I wish you much luck in finding a new publisher for your books. It’s a tough business, but there are publishers who will look at previously published books. Let us know where you decide to place your books. Thank you, Fran. I’ve been on an eight month hiatus from writing to make my last move before I go to the nursing home or the funeral home. I’m looking forward to the challenge.